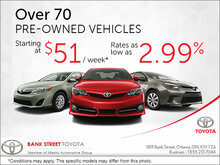 At Mendes Toyota, you will find the most recent brand new Toyota models in every colour and every trim. 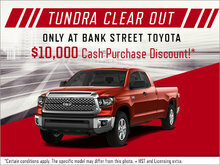 We have a huge inventory of new Toyota vehicles for every need, budget, and lifestyle. 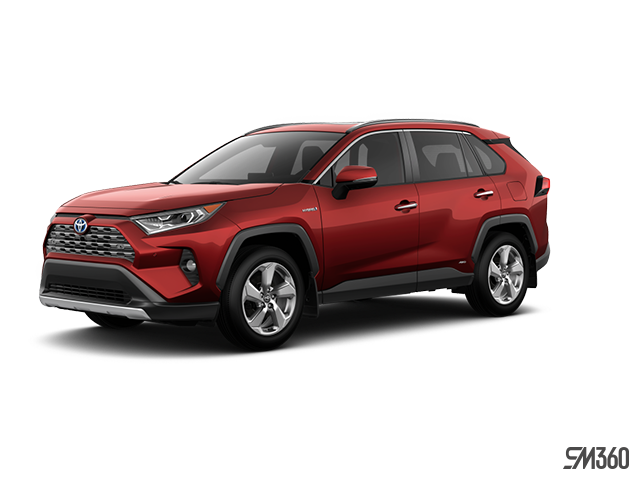 Since the early 1930s, Toyota has been setting the benchmark for all automotive manufacturers when it comes to quality, reliability, and durability. Today, Toyota’s lineup of vehicles features a model for every expectation. 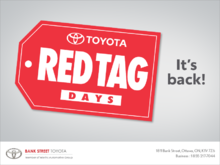 From the fuel-efficient and compact Toyota Yaris Hatchback and Corolla to the spacious Camry, Toyota understands how to create vehicles that appeal to the lifestyle of their customers. Toyota is also a leader in hybrid technology, having introduced the first hybrid vehicle to Canada with the appearance of the Prius over a decade ago. Today, Toyota’s hybrid technology can be found in numerous models across the lineup, and you will find these model at Mendes Toyota. 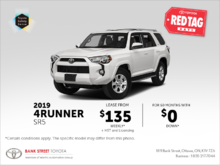 If you require more space, come in and have a look at Toyota’s new lineup of RAV4, 4Runner, and Sequoia SUVs. At Mendes Toyota, we take the time to understand your needs in order to find the perfect new Toyota model that will best suit you. Book an appointment with a member of our experienced and courteous sales representatives online today, or contact us directly at 1 855 217-7051.